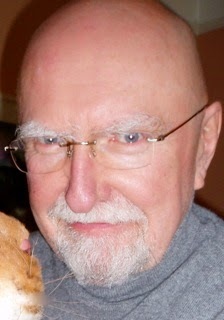 Once again, we are privileged to have Herbie Brennan with us, author of many gamebooks including the GrailQuest and Demonspawn series, which will be converted into apps by Tin Man Games. I last interviewed Herbie in 2012, so it is nice to drop in on him again and see how he is doing. How have the past 2 years gone for your gamebooks? Quite quietly for the few that are out there as ebooks, but I got myself seriously over-excited by a deal with Tin Man in Australia to bring out GrailQuest and Demonspawn as apps. It was originally planned to have the first of them released last year, but this was postponed for technical reasons. Hopefully we will see some action later this year. Apart from Grail Quest, you have written several other gamebook series. Which one was your favourite to write? GrailQuest by a mile. I loved every minute of that series. 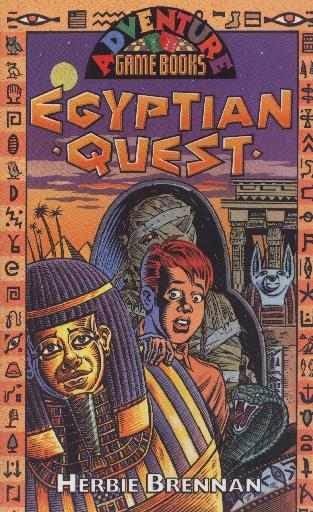 Apart from GrailQuest, I have a special regard for EgyptQuest, but that’s less to do with gamebooks than the fact that I’m obsessed with Ancient Egypt. Pomposity. I can’t be doing with gamebooks that take themselves too seriously. One that gives its readers a good time. I know that sounds obvious, but the actual position is a lot more subtle than you’d think. Far too many gb authors think they’re somehow in competition with their readers and try to ‘beat’ them by setting impossible puzzles, hugely difficult conflicts, mind-numbingly complicated story lines. They keep forgetting the relevant part of gamebook is ‘game’ and games are supposed to be fun. If a gamebook is fun, it stands out for me. Keeping track of where the various adventure trails lead. I found that a nightmare. The sense of freedom. I’ve published something like 112 books now and most of them were hard work, but the gamebooks were a delight. You could do what you liked with them and nobody ever complained about your lack of references or depth of characterisation or illogical plot development. The best way to write a good gamebook is to walk into a fantasy world and live a little. Do it. It’s the most fun you’ll ever have with your trousers on. But don’t give up the day job. Gamebooks don’t make anything like the money they did back in the Eighties. What future gamebook projects do you have? The big one is the move into apps with Tin Man that I mentioned earlier. No plans to write any new ones, unless somebody makes me an offer I can’t refuse. I think I’m getting horribly respectable in my old age. What future non-gamebook projects do you have? I’m currently working on an historical adventure novel set in the Middle Ages and I’m in negotiation with Overlook/Duckworth, my Whisperers publisher, to write a serious non-fiction book about the nature of reality. I’m keeping a close eye on technical developments in the area of virtual reality and some of them are very exciting indeed. 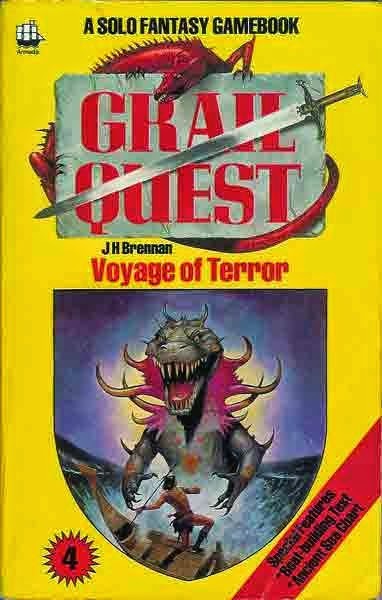 I would adore to see the best gamebooks adapted to become VR adventures. Now that would get me back to writing more gamebooks. Imagine creating fantasy worlds that your audience could actually step into! My friend JAB, who works in this field, tells me the start of that adventure could be only months away. You can visit Herbie Brennan's blog and you can download Greek Quest, one of his books, from the app store. Eek! Eye strain! Parts of the interview with Herbie Brennan are wandering into the sidebar, overlapping with pics and text there (for me anyway, with all browsers). Format error! Does not compute! Excellent point about gamebooks becoming VR adventures as technology progresses. There are several Star Trek: Voyager episodes about holo-novels, where you actively embody the characters in the story. Ah, that all-powerful and quirky holodeck. Maybe the future really is heading in that direction. Changed it. Hope it's better for you too.